Six acres on the south side of the road. | Scuffalong: Genealogy. Six acres on the south side of the road. – Scuffalong: Genealogy. Six acres on the south side of the road. 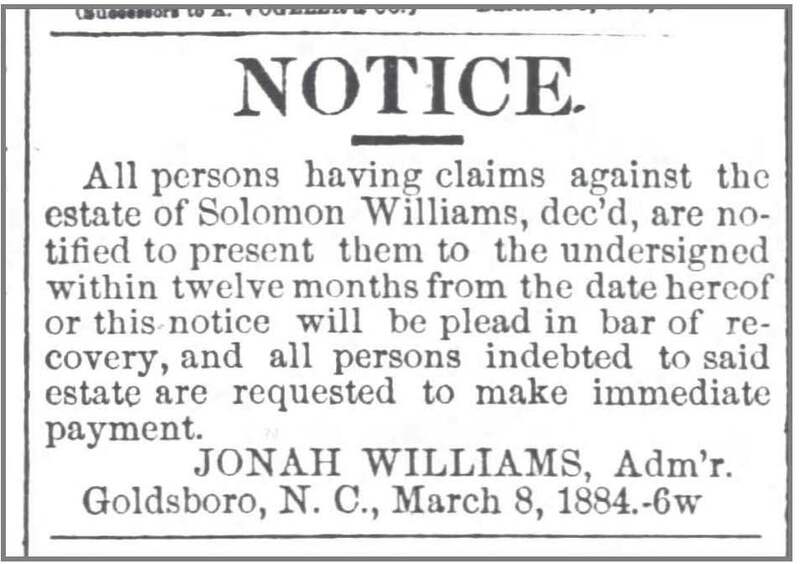 Goldsboro Messenger, 10 March 1884. Goldsboro Messenger, 11 September 1884. Solomon Williams‘ son (and estate administrator) Jonah Williams placed these notices in a local newspaper. Solomon’s six acres could not be meaningfully divided among the eight children that survived him. Ruffin Bridge is another name for Peacock’s Bridge, which spans Contentnea Creek on the Wilson-Greene Counties border. 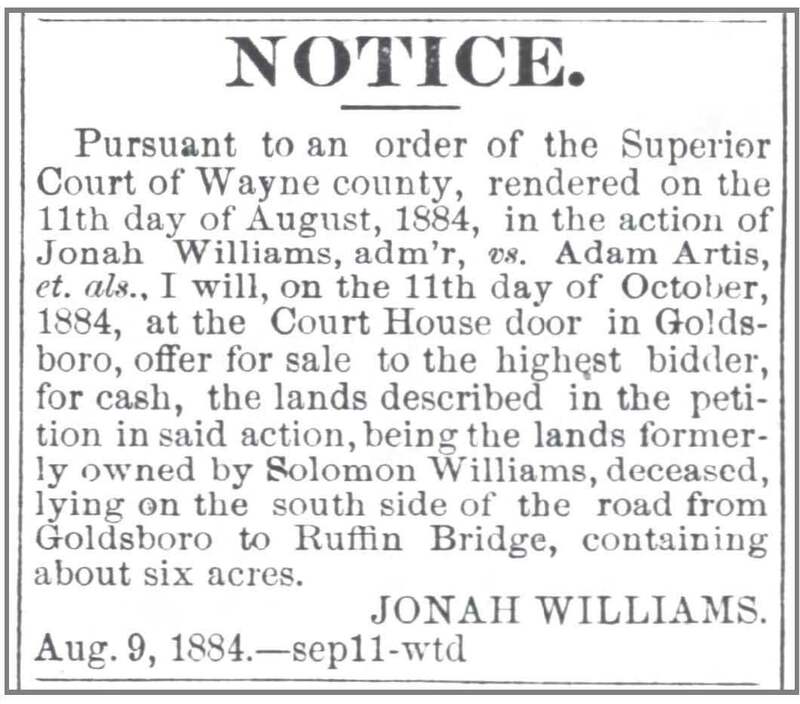 It is not at all clear to me, however, which road would have been regarded as the road from Goldsboro to the bridge. ← The hoe penetrated to the tissue of the brain.